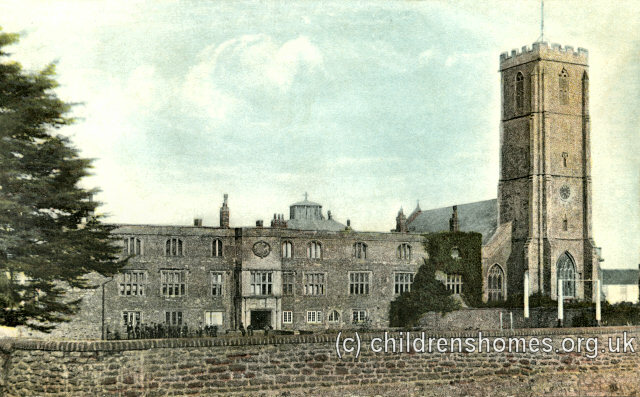 In 1868, an Industrial School for Roman Catholic Boys was established at Church Street, Cannington, near Bridgwater. Funding for the School, which was to serve the western of England, was by raised by donations and subscriptions from the diocese of Clifton. The School was set up in part of a former Benedictine Abbey, dating from the 13th century, which was rented from Lord Clifford at the nominal rent of £1 per annum. The property was formally certified for use on November 17th, 1868, with accommodation for 120 boys. Some of the initial inmates were transferred from existing boys' Industrial Schools at Bristol, Shustoke and Bath. The Cannington premises were extensive and included a chapel, three walled gardens, and an orchard. However, they were said to not be very convenient, and the School's managers intended to relocate the institution when more suitable ones could be found. In fact, the School was to remain at Cannington for almost half a century. Mr and Mrs Easterby were appointed as the first master and matron of the establishment. In 1870, with the lack of progress in finding new premises, Lord Clifford allowed the School to take over an additional part of the building. An inspection in 1871 noted that the refectory had been enlarged, and the general organisation of the School improved. The dormitories were said to be clean and airy. The boys were now employed in tailoring, shoemaking, and gardening. Lord Clifford had also promised to let the school have more land for cultivation. The School site is shown on the 1904 map below. Industrial School for Roman Catholic Boys site, Cannington, c.1904. In 1877, Mr and Mrs Sutherland took over as superintendent and matron but the following year the Easterbys were back in charge. The other staff now comprised schoolmaster, Mr Grogan; shoemaker, Mr Hurley; and yard manager, Mr Davis. An inspection report in 1878 expressed concern about a decline in standards at the School. General discipline had fallen off and industrial training had been neglected. A complete change of staff resulted and a marked change for the better was reported in 1879. Mr and Mrs Walter Shepherd were now superintendent and matron; with Mr O'Callaghan as schoolmaster; Mr McCulloch as assistant; and a shoemaker. Under the Shepherds' charge, the School quickly settled and improved. An 1896 report noted that agricultural work provided the principal industrial training, and a number of the boys who were physically fit found work from time to time with neighbouring farmers. Boys helped in the school gardens, and they had small garden plots of their own on which to cultivate vegetables and flowers. The livestock consisted of a quantity of pigs and poultry, and there was a horse and trap. The allocation of boys to the various other industrial activities included 10 carpenters, 19 shoemakers, 23 tailors, 10 knitters, 4 garden and house boys. About 20 boys did the institution's washing. The younger boys attended school full time. For the boys' physical fitness, 'extension exercises' were carried out. There was a playground, 90 yards by 60 yards in size, for cricket and football; and the games were played two or three times a year at Cannington Park. The plunge was a plunge bath, just large enough for the boys to learn to swim. Six festivals, including Christmas, were observed during the year, when games, concerts, etc took place. The School had a library of over 200 volumes, which the boys made use of on winter evenings. A doctor visited twice a month, or whenever else required, and saw every boy in the School. Vaccinations were also administered when required. Relatively few punishments were administered. There was a cell which was only used three or four times a year. In 1898, physical drill was improved. Three cricket matches were played with outside teams, the last taking place on Jubilee Day, when the whole School received a holiday with treat and sports. It was reported that all the boys' clothes, boots and socks were made in the School workshops. The carpenters contributed to the maintenance of the building, with some of the junior boys doing wood-chopping in the winter months. In December, 1900, Walter and Emma Shepherd retired as superintendent and matron after 21 years' service. They were succeeded by their son Walter Jesse Shepherd and his wife, Florence. An inspection report in 1905 noted that a washing and wringing machine had been purchased for the laundry. A new pump had been erected to supply good drinking water and to fill the copper for the boys' washroom. Army flannel shirts were issued to all. The School's drum, fife and bugle band helped obtain situations for boys in army bands. Entertainments and dramatic performances were given, and there was an annual trip to the seaside, when sports were held. A mark system was in operation providing monetary rewards for good conduct. Work began on a new playroom and gymnasium, which was finished the following March and could seat 600 people. In April 1907, the superintendent suffered a breakdown in health and went for a holiday. Though initially improved, he had a relapse and subsequently resigned his post. The former superintendent, Walter Shepherd senior, resumed charge until the end of the year when Mr George L. Harding was appointed superintendent. The School continued to progress. 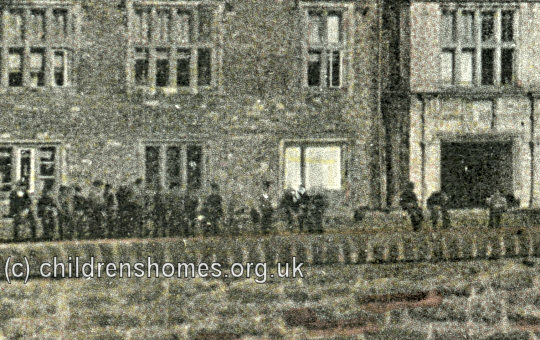 In 1911, the cobbles in the front quadrangle were replaced by Staffordshire paving, and the walls have been faced with cement. The premises were repainted and decorated. A new horizontal bar, new gymnastic mattresses, 50 spring bedsteads, a house telephone, camp equipment, and new bugles were provided. The old cells have been converted into linen and bandmaster's store rooms. Boxing was no being taught, and the school was successful at cricket and football. In August, the School went t camp for three weeks. In 1917, the School moved to new premises at Prior Park, Bath. Mr Harding continued as superintendent. In 1919, the Cannington site became home to the Somerset Farm Institute, part of the Somerset College of Agriculture and Horticulture. Later renamed Cannington College, it merged with Bridgwater College in 2004.